Some authors and their books..
One of the world’s oldest and perhaps the only surviving unstitched garment from the past, saree has now become a sensuous and glamorous dress for women. Saree, ranging from 4 metres to 9 metres in length, is a traditional attire worn by women in India. Though centuries have passed since the sari was conceived as the Indian women’s hereditary costume, its charm has not waned till date. In-spite of the limited scope for any change in the garment, it seems to have a limitless future for every new generation of women. Unstitched garment which is considered sacred in Hindu tradition, Sari evolving from the prakrit word “sattika” which is most sacred garment for females not only symbolizes cultural, grace and elegance but also an epitome of courage and strength as depicted by Rani Lakshmi Bhai during the war of independence. This 5 yard fabric has been a unifying feature, despite the variation in its wearing style in different parts of India. Draped around the body in such a way that midriff is left bare so that the navel which is center of creativity and life embraces the positivity from the Panchatantra of environment and recreating the abundance in the form of new life (fetus), is a reflection of women’s ‘inner supreme self’. India has a number of silk weaving clusters that are known for unique designs, weaves, colors, patterns, traditional knowledge and processes that are specific to a geographical region, and are guarded for centuries. Andhra Pradesh is a treasure of traditional handloom silks known for their distinct and typical style of products. Dharmavaram is a famous hub for its unique silks and a small town of rich handloom weaving cluster located at a distance of 47 km from Anantapur, has enthralled, endeared and throbbed the hearts of millions of women with its elegant, splendrous and classic silk sarees. The traditional, heavy, broad bordered rich with buta sarees of Dharmavaram have world wide popularity. The shopkeeper and his assistant started showing us a wide-varieties of silk sarees. It is said that each and every thread of a Dharmavaram saree is hand woven. The silk sarees are exclusively made of mulberry silk woven by hand, with elaborate zari work woven on them in resplendent colors. 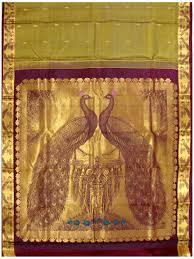 These sarees are known for their excellent weaving quality, rich look and feel. Evidence of origin of Dharmavaram sarees can be found in the roof wall painting of Lepakshi temple. There are a total of 280 designs in the temple, constructed during the year 1522 to 1538 AD. 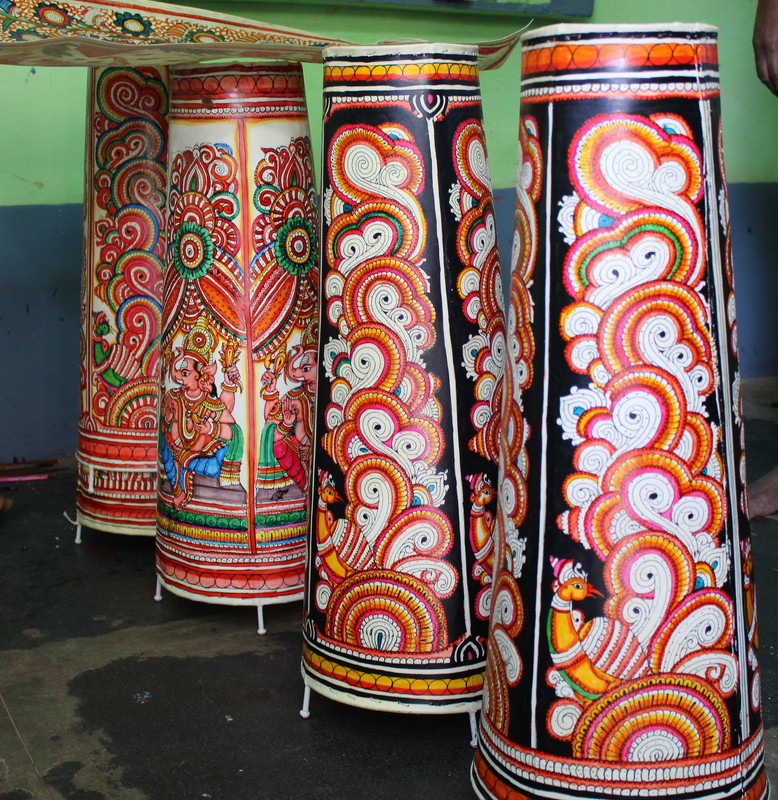 A place called the “Latha Mandapam” wherein 36 rock pillars have 144 unique designs of Dharmavaram sarees! The shopkeeper explained us that the weavers and designers of Dharmavaram are continuing the legacy of yester year designers and experimenting on silk weaves and producing array of unique designer silk sarees. 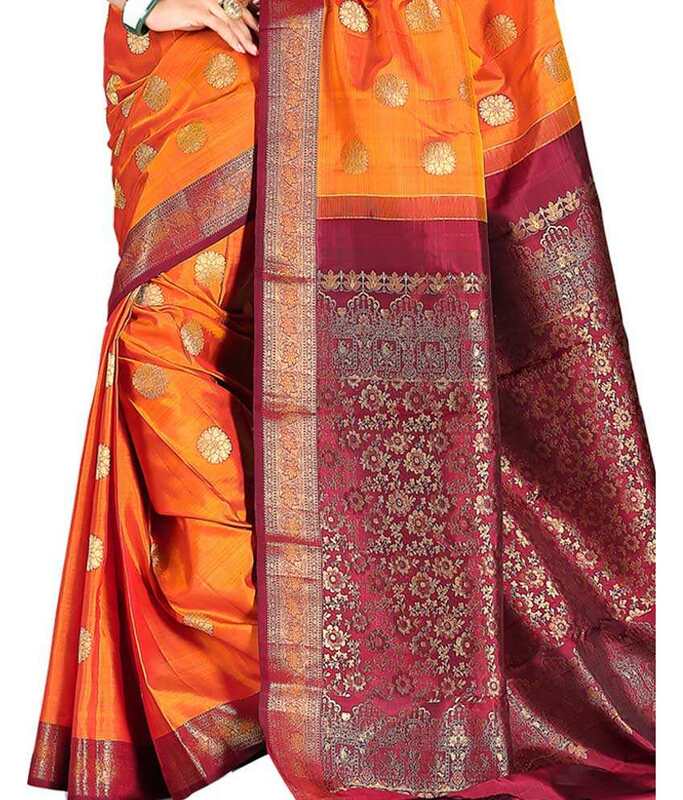 The hallmark of Dharmavaram Sarees are the motifs and designs adapted from the sculptures of temples at Lepakshi and Tadipatri and other motifs of nature like peacock, deer, flowers etc. The Dharmavaram Sarees may range between Rs. 6000 to Rs. 100000. I bought a silk saree for my mom and a cotton saree for my mam back at office. Both were satisfied with the quality of the products as well as the prices 🙂 🙂 . 10.00 hrs – We were at the Dharmavaram Bus station. We thought of shopping here and if time permits to head to another famous pilgrimage centre of Andhra Pradesh – Puttaparthy. Bilal and I were calculating the time and were walking towards the road when a board drew my attention. The board said ‘Welcome to the Nimmalakunta Art Village and Puppetry Workshop”. We dropped the plan of Puttaparty as we need to cover another important place and hence decided to visit this village. We hired an auto-rickshaw to take us there and drop us back in Dharmavaram. The components of a puppet show are the curtain, the audience sat before it, the commentator behind the curtain, the lights that throws the shadow on the screen and the puppets (actors). Episodes from the epics Ramayana and Mahabharata are the popular themes selected. The puppets range from 3 to 6 feet in size. 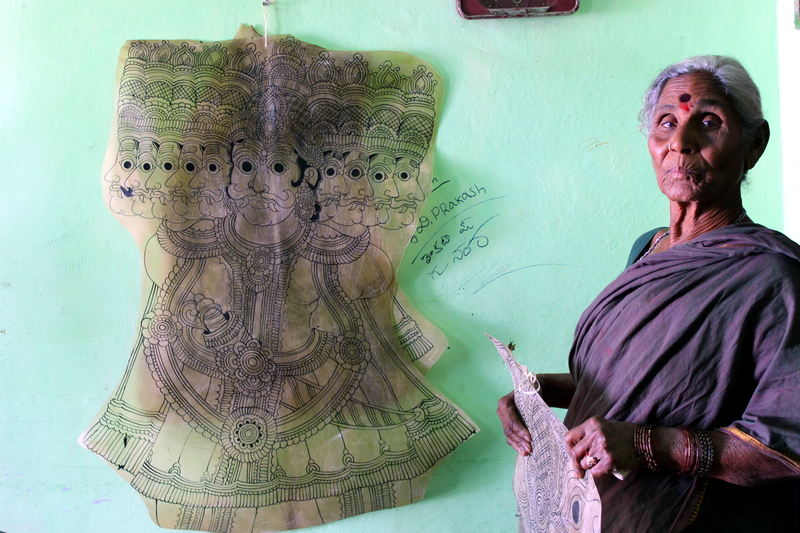 Among the Andhra Pradesh Puppeteers, the Nimmalakunta artists are well known both at the national and international level. The Nimmalakunta puppeteers are frequently seen in all the government sponsored exhibitions conducted in major cities all over India. They are also well known as leather craft artists. When we reached the village, the community center and the workshop were closed. Our auto-driver inquired, and to our luck – the Dalavai’s family turned to help us. 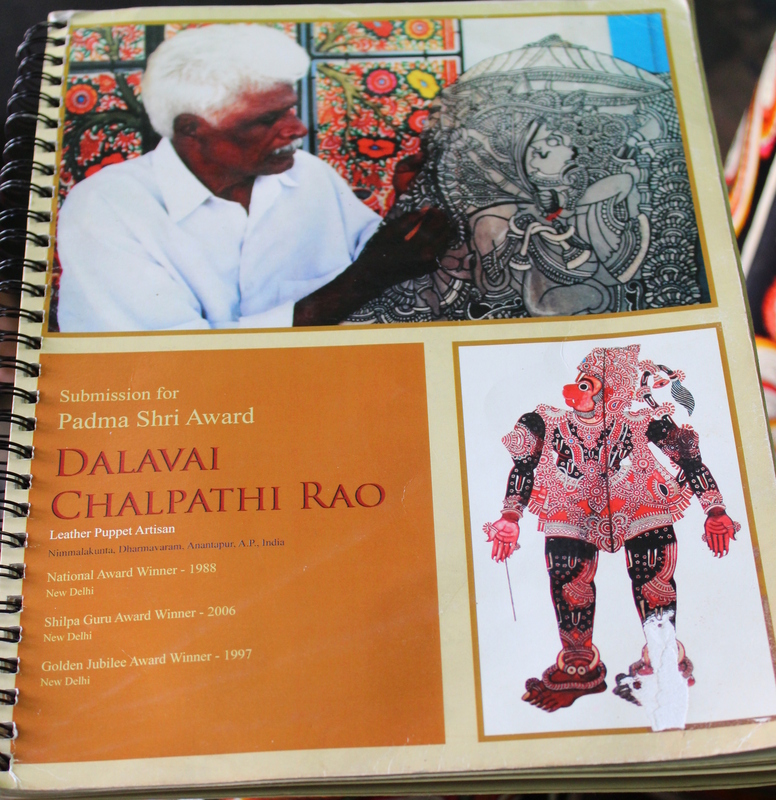 Dalavai Chalapathi Rao is a famous shadow puppeteer, a national award winner and gave many a performances in the West. His son started explaining us the various aspects of puppetry while his son was busy painting the lampshades and his wife busy in making the puppets. They explained us the process right from the procurement of the skin, processing it and how they are cut and designed. They showed us various pictures of puppets under the light in a dark room. 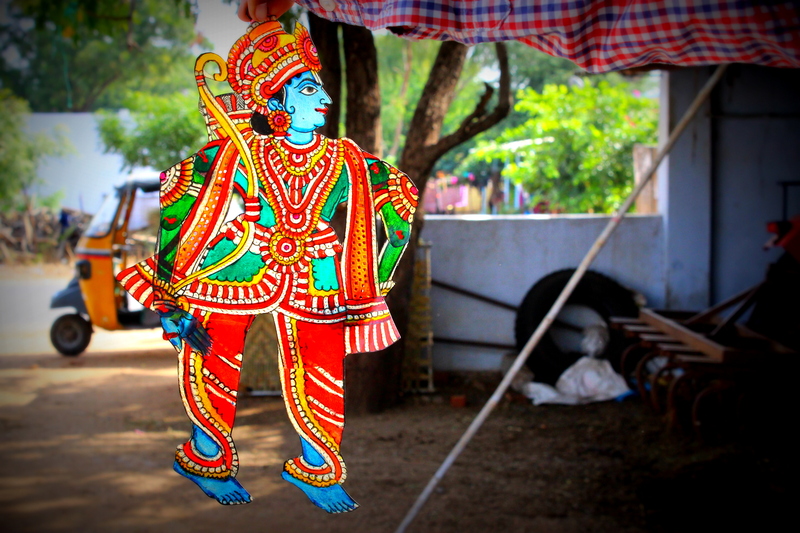 Leather puppets of Andhra are large and made from translucent goat skin. The details are painted in bright colors and perforations are added. The designs are mainly mythological figures and occasionally the painters own creations. These drawings are done with a pencil. After making the designs, outlines are painted with black. 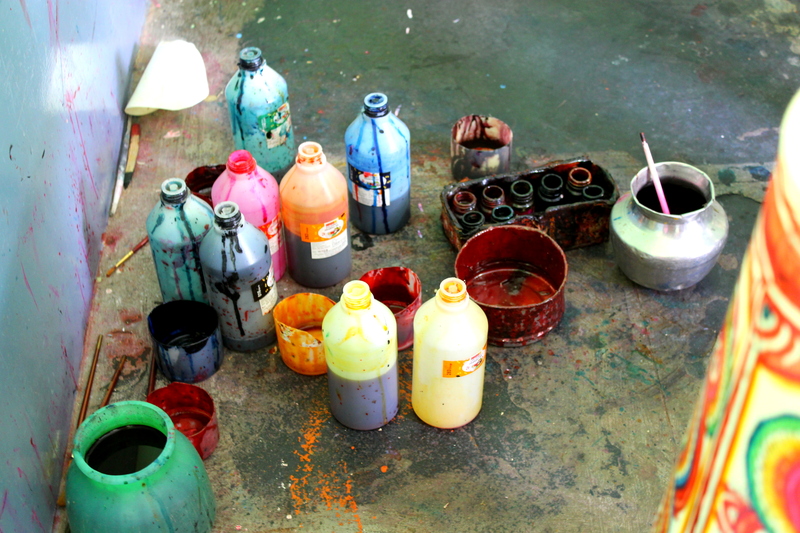 Thereafter colors are filled in with vegetable dyes – brilliant red, green, white, yellow, brown and orange being the most popular. Many of these puppets have movable hands and legs and some, movable heads and necks 🙂 Elaborate ornamentation of puppets indicating jewellery and clothing is typical and amazing. It’s Christmas to start with 🙂 Merry Christmas to all!! 2 more people were to join us three on that day, Sushmita and her husband Phani. 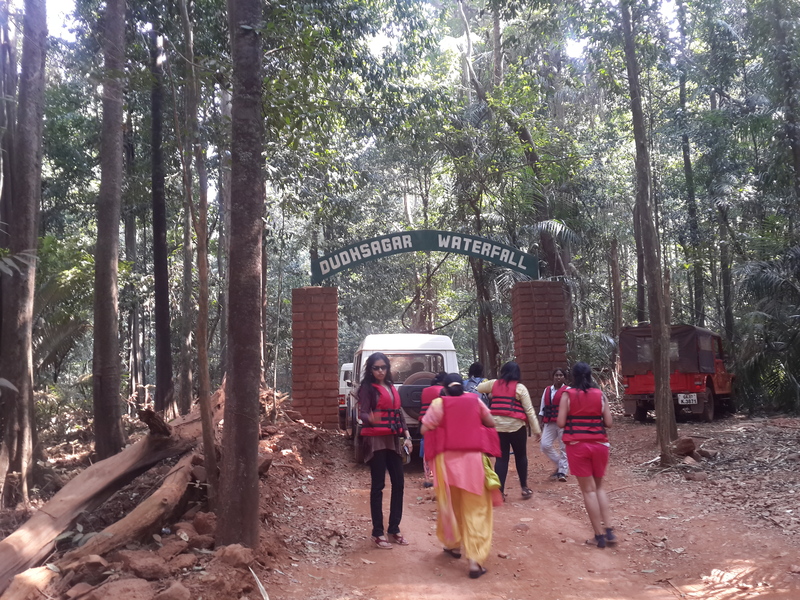 The plan is to escape to the south, into the wild, deep into the famous Western Ghats. We wanted to escape, away from the humdrum of the life into the lap of nature. And the perfect escape was “DudhSagar” – The Ocean of Milk. While the rest of my team was waiting at Collem (the town from where we have to hire the cab) for booking our cab to the waterfalls (Yes, we can’t take our own cabs there. The tourism department provides their own cabs for this), I booked my ticket from Marmagaon to Trivandrum for the next day. Though Dudhsagar is meant for a trek, especially a monsoon trek along the railway track, we confined ourselves to the cab drive this time. 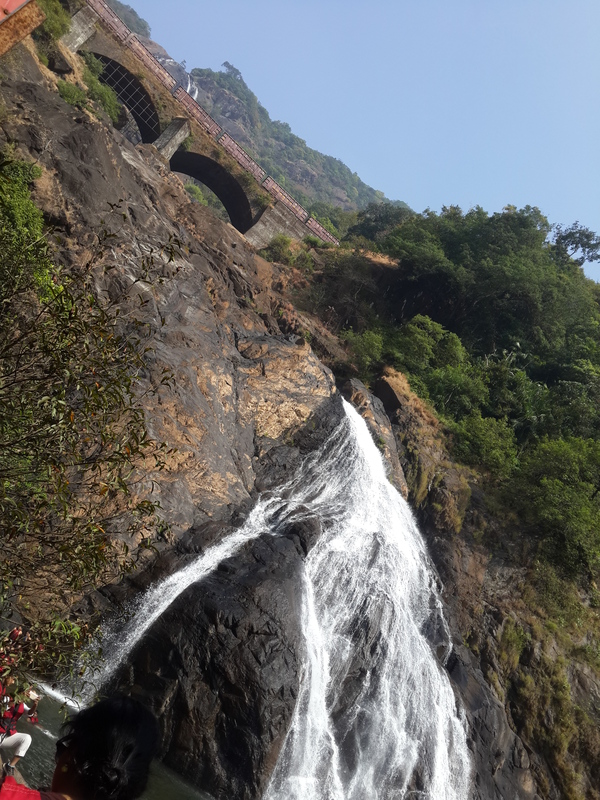 DudhSagar waterfalls are located in middle of forests on the Goa-Karnataka border and can be reached through the Bhagwan Mahavir national park. It took us around an hour to reach the entrance of the waterfalls as there were lot of people and the road was jam-packed with vehicles. It is a mud road through the forest and there were a few streams which needs to be crossed in order to reach the falls. I donno whether we can go on a hike through this forest or not, but if there is one, it will be truly adventurous. After a long wait for the parking for our cab, we reached the entrance. 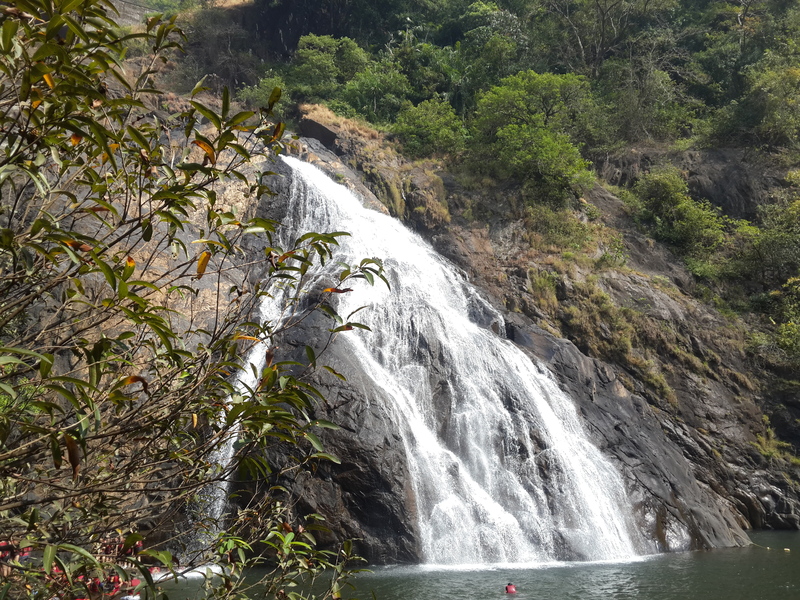 In order to reach the waterfalls, we have to go on a hike for some distance. It was a good trek through the woods and streams. We could hear the hum of the waterfalls from a distance and even got a glimpse of it. The sight was mesmerizing, though the waterfall falls from a height of 310 metres, it almost seems like that it is descending directly from the heavens. We increased our pace and moved fast to see the entire beauty. We were stunned at the sight of the mighty beauty that stood infront of us. I could only imagine, if this looks like this in December, how it looks during the Monsoon season. 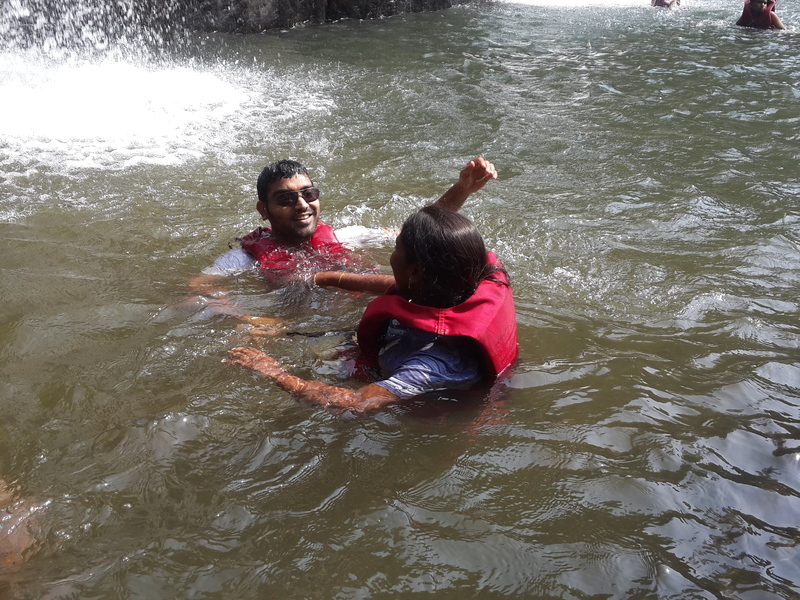 Within no time, Phani and I were into the waters with our life-jackets. The water is super cool and the splashing waters from the waterfall and the mist-filled air was refreshing. There were lots of fishes too in the water. 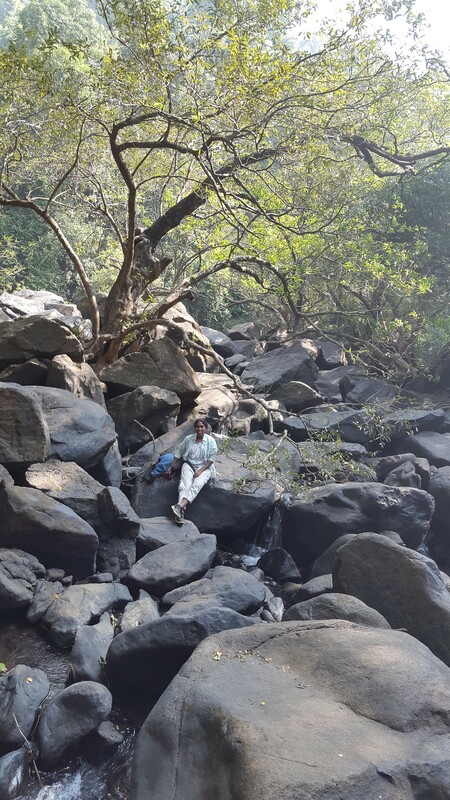 The railway track which seems like dividing the waterfalls into two halves adds to the charm of this falls. As we were wishing for a train to pass through the tracks, we heard a siren from the distance which echoed through the mountains and all the eyes turned to the railway bridge above the base. Soon a train was passing across the bridge and the scene was breathtaking. It was beyond words and description 🙂 . After spending quite good time here, we returned back to our jeep to proceed for our Christmas celebrations. How can we miss these while being in Goa? Isn’t it? What is the fight for?? Rejecting any race? Culture? or proclaiming the ideal of unity? Untying all the human races or uniting them? Comprehending all things with sympathy and love or rejecting everything with indifference and hatred? Bringing about reconciliation and peace or about alienation and distress? Restoring the bonds of friendship and love or destroying the human links and bonds? 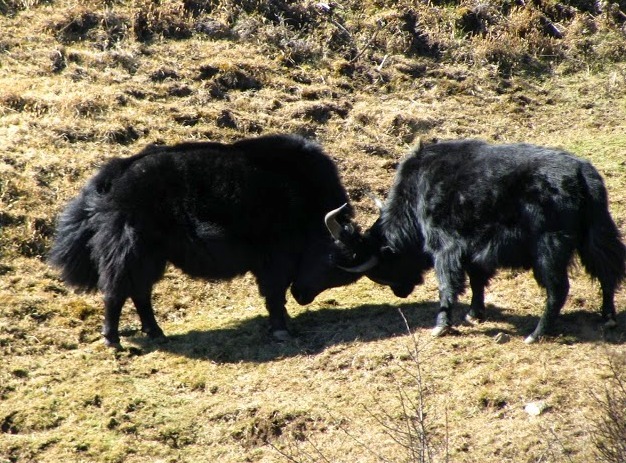 Creating seclusion or creating Universal-ism? Rising the sufferings, jealousy and hatred or rising the joys, empathy and love? Giving rise to political and commercial competition or to give rise to apolitical and charitable friendship? Saving the humankind or vanquishing the humanity? 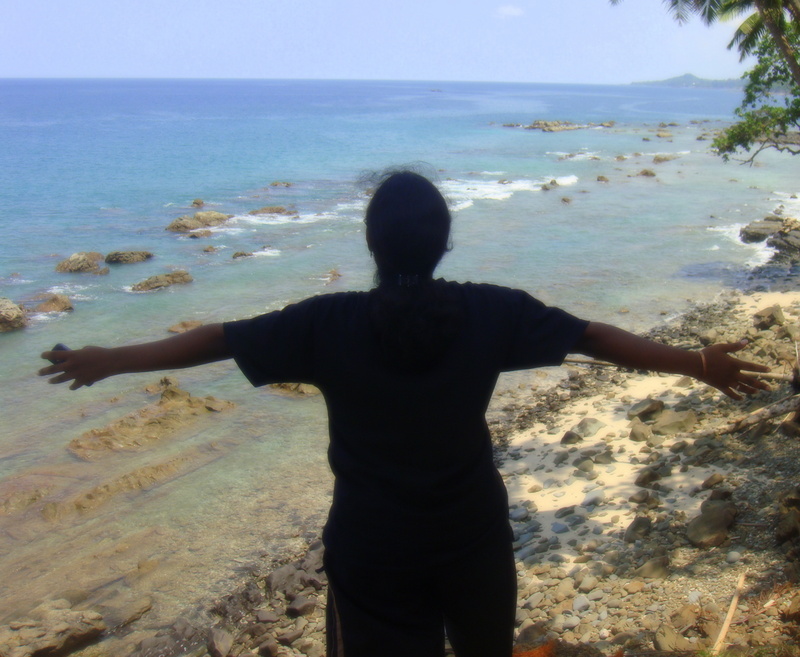 Let me be there where…. 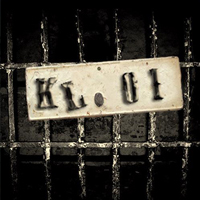 There are no atrocities against the vulnerable..
KL01 – Band with classical touch..
Today’s band is KL01. 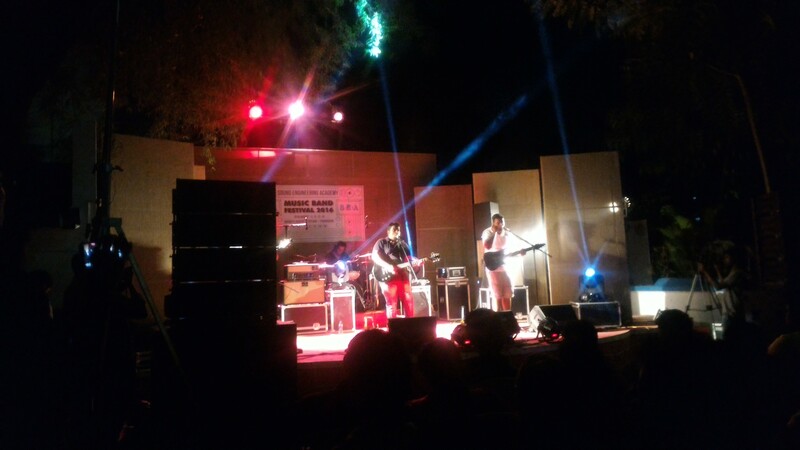 It is a band from Trivandrum and was set off in 2009 as a collaboration of two extinct bands. 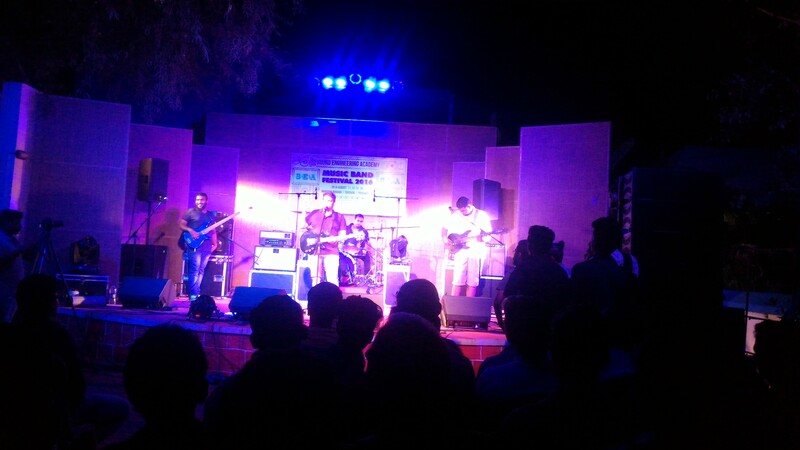 The line up consists of Anand Amarnath – Vocal/Guitar, Sharat Menon – Lead Guitar, Bass – Brian Fernandez and Drums by Ananthapadmanabhan. They are into progressive rock, folk and metal too. It’s more crowded than yesterday, might be because it’s a local band and many might have already known about it. I could see that the crowd is more cheerful than yesterday and the youngsters were shouting in support of the band. 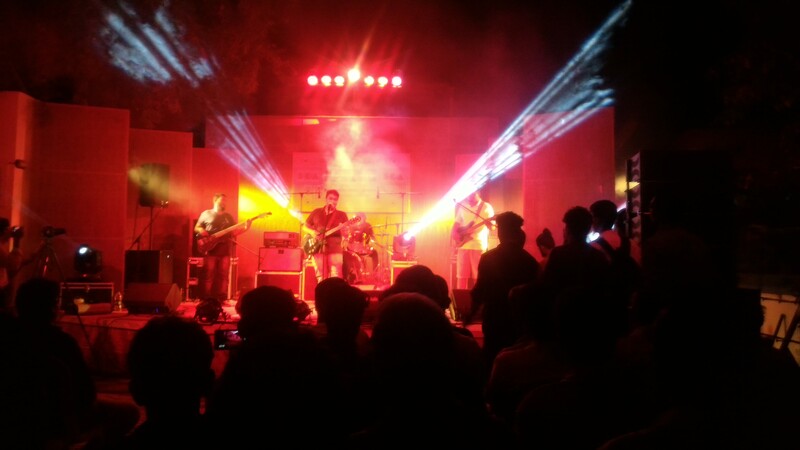 The band started the day with a progressive rock number and moved to a Malayalam song which was their own composition. The crowd cheered up as it was in their native language and later they continued with few more Malayalam songs which were again their own compositions. What I could see is that it’s mostly a fusion; a fusion of classical music, progressive rock and sometimes folk. The music was soothing, not so heavy yet not so low. But, as we progressed, the music got a bit heavy with “Open Car” a song by the band “The Porcupine Tree”, which they said that it’s the band’s most favorite one! Although all the members of the band gave their best performances, it is the drummer Ananthapadmanaban who won the most number of hearts among the crowd. He really nailed few songs with his breathtaking performance and at one instance the crowd shouted for a solo performance from him. The most unique feature of this band is they didn’t leave behind the origins of music and they carried the classical touch forward. While yesterday, the Segments sang some English tracks, the KL01 sang some Malayalam, English and a mix of both the songs, mostly their own compositions and which are of the themes like getting lost in love and choosing music as career or going in search of music. And I guess this is one of the reasons, why the band has got so much following among the youngsters. The once more shouts are enough to say how their music was and I would really love to see more of their performances in the near future. P.S : Can watch the live stream @ http://www.seaindia.in from 07.00 pm.